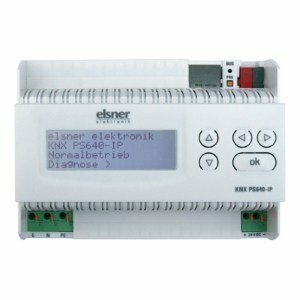 All Elsner power supplies are delivering a 29 V bus voltage (640 mA) for the KNX system and 24 V DC supply voltage for 24 V devices (150 mA). They inform about actual bus current, short cuts, over voltage, hours of operating and much more. Optionally they may send this information on the bus, and/or they may be equipped with an USP or IP router interface.